Hi all! My name is Dominique Baker and I am an Ottawa-based fashion, beauty and lifestyle blogger. I love all things beautiful and tasty! My passion is art, fine food, fine wine and great fashion! I also love to write – expressing my thoughts, ideas and opinions on my blog, www.styledomination.com, and sometimes through photography…a skill that I’m honing everyday. I spend my free time fine-tuning my blog and travelling the world with my husband. Ahhhh…the Christmas Holidays! My favourite time of year. The holidays bring me so much joy with days filled with warmth and cheer, bringing my family together to do what we do best – drink. Haha! Among our many traditions is blasting Christmas carols while putting up our huge Christmas tree while sipping on a cup of warm, mulled wine. The thing I like best about this recipe, other than the fact that is tastes wonderful, is that it fills your home with the spicy aromas of orange, clove and cinnamon. 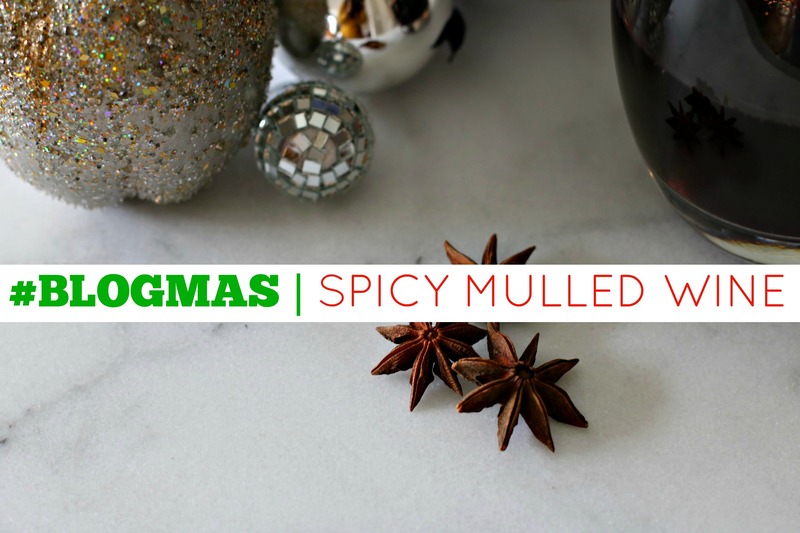 Along with gingerbread and eggnog, this holiday tipple is a hit in our household and I promise you, if you make this for a holiday potluck dinner, you will be a hero. Now, this recipe packs a bit of a punch, so remember to drink responsibly! Pour the bottle of wine into a large saucepan. Add the rest of the ingredients to the saucepan. Bring almost to a boil, but do not let it boil! Turn down the heat to low and let it simmer gently. 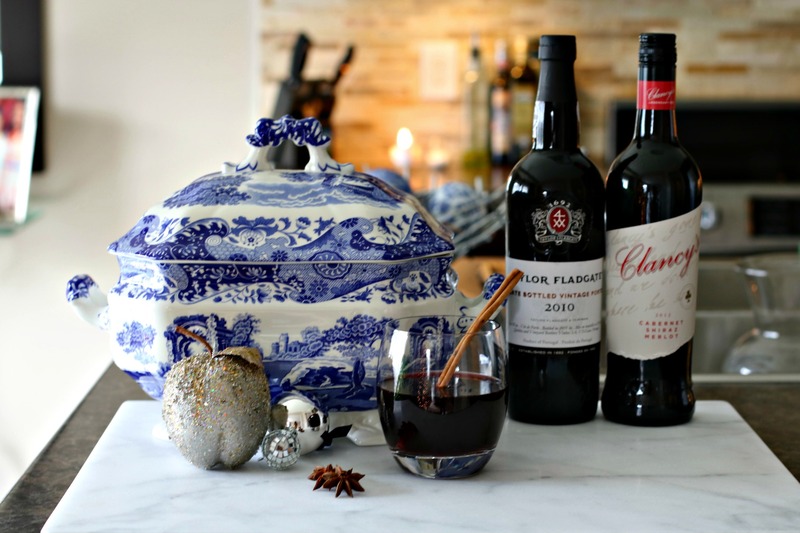 The mulled wine is ready when the sugar is dissolved. You may keep the wine in the saucepan on low heat to keep it warm. I like to serve the wine in heat proof cups with handles such as pretty copper mugs. 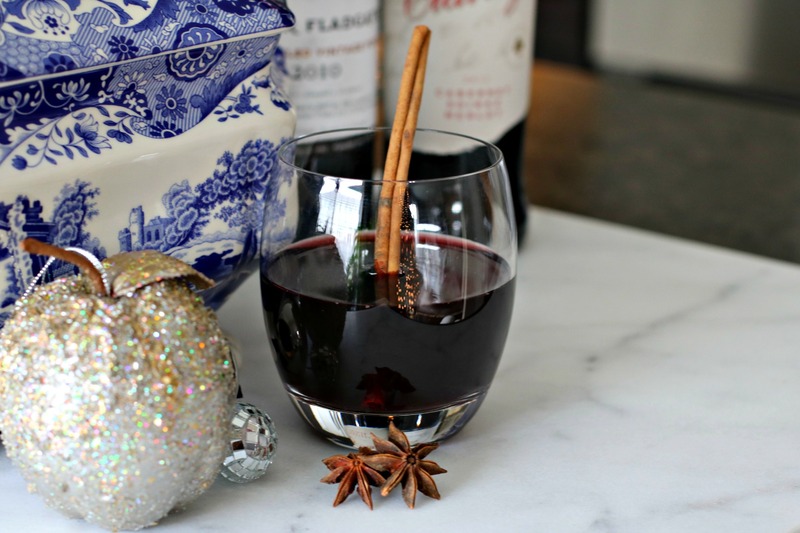 This entry was posted in In My Shoes and tagged BLOGMAS, Christmas Recipe, Holiday Recipe, merlot, mulled wine recipe, red wine recipe, shiraz, wine recipe. Bookmark the permalink. This sounds delightful! I need to try this! It’s really great, my dear! Warm, spicy and drunky! LOL! Thank you so much, Sonam! What a great Blogmas, indeed! You are very welcome and THANK YOU! Loved having you apart of this festive collaboration; looking forward to more in the future. X0.